Want To Go Viral On LinkedIn? Respond to comments. Want your LinkedIn posts to go viral? Then respond to people who comment on them–quickly. I don’t want to make too big a deal about this, but let’s put it this way–I’m currently writing a book called 60 Days to LinkedIn Mastery, which contains 60 LinkedIn tips, and this tip is definitely in the top 5 most important tips. Comments are a big deal because LinkedIn wants you and everyone else to spend lots of time on their website and in their app. The more time someone spends there, the more likely they are to spend money on LinkedIn. This knowledge is your secret weapon for LinkedIn thought leadership success. If you help keep people active on LinkedIn, LinkedIn will reward you with attention from more people. If LinkedIn sees a post attracting a lot of attention and getting people talking, they’ll promote that post because it’s keeping people on LinkedIn longer. This is why it kills me, KILLS ME, when I see someone write a great post, and then two or three people comment on it, and the author of the post…never responds. Because the author never responds, the conversation dies, and an opportunity is lost. And then when people comment, I’m hovering nearby, ready to jump on it immediately. Ok, maybe not immediately, like you I also have a life and responsibilities outside LinkedIn, but I generally check LinkedIn several times a day to see if people have commented on my posts. 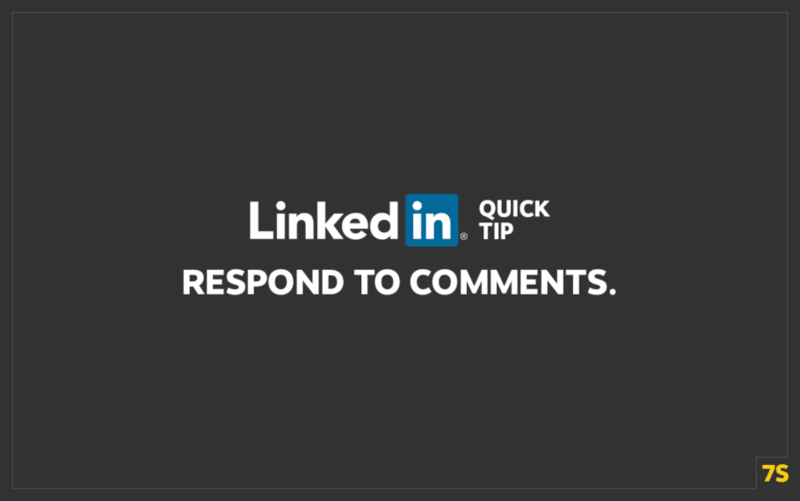 Whenever there is a new comment, I go out of my way to think of how I can respond to it and keep the discussion going, knowing that every time I comment, and someone else responds, that post is going to show up in the feeds of more and more people on LinkedIn. Create great content. Invite comments. Respond. Go viral on LinkedIn. This is a big part of the game. Create a new LinkedIn post. Start and end with a question. When someone comments, respond as quickly as possible, ideally within a few minutes. Get as many comments going back and forth within the first hour after you’ve created the post. Measure your results and compare them to your other posts where you haven’t responded as much.